Paul Stewart, an Air National Guard sergeant, returned from Baghdad in March but has had little luck finding a job. Paul Stewart would not have gone to Iraq if he had not needed the work. But the economy left him little choice. The Air National Guard sergeant closed his Newton scuba diving shop when the economy crashed in 2008, and after finding nothing but $15-an-hour security guard jobs, he went back on active duty, patrolling a base in 130-degree heat in Baghdad. He returned in March, but his luck has been no better. “What’s available right now are just low-paying, no-benefit jobs,’’ he said. 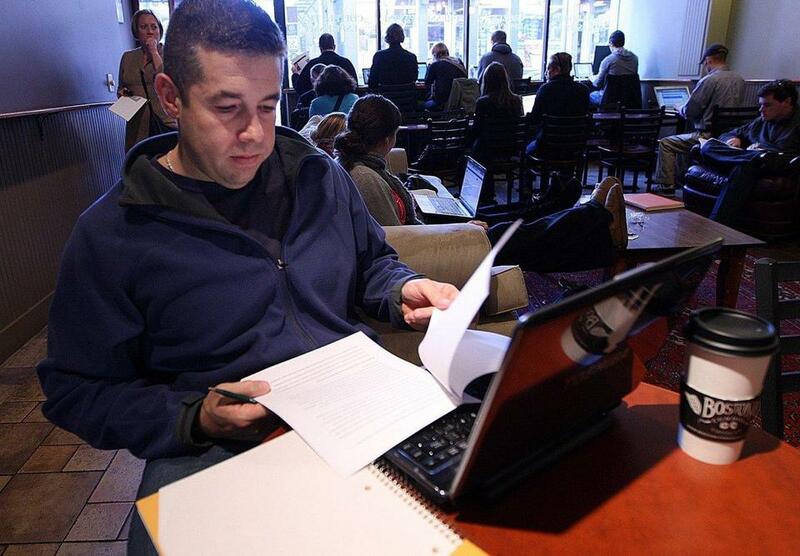 Stewart, a 41-year-old Northeastern University graduate, is among the tens of thousands of veterans returning to a difficult job market, one that is only expected to get tougher following the pullout of US troops from Iraq this year and from Afghanistan by the end of 2014. In Massachusetts alone, the number of veterans seeking help in finding civilian jobs is expected to increase by as much as 75 percent by the middle of next year, according to state career services officials. Nationally, the jobless rate for all post-9/11 veterans has risen nearly 2 percentage points, to 12.1 percent, over the past year, even as overall unemployment has declined to 9 percent. The unemployment rate for veterans of Iraq and Afghanistan is even higher - 14.3 percent. Men and women returning from military service face distinct challenges in finding work. A third suffer from post-traumatic stress disorder, depression, or traumatic brain injuries, which can make employers wary of hiring them, according to veteran services organizations. Some employers are reluctant to hire members of the Reserves or National Guard because they can’t afford to lose a worker for six months or more if they are called up for active duty. And in sectors that traditionally attract veterans, such as law enforcement, job opportunities have dwindled because of budget cuts. The Massachusetts State Police Academy has just started its first class in five years. Jonathan Howe has struggled not only to find work but to adjust to living with his parents in Wareham and supporting his wife and 3-year-old daughter after serving in Iraq and Afghanistan. During his nearly five years in the Army, he survived mortar attacks and patrolled garbage dumps that people called home. He was trained to look for dead animals rigged with explosives on the side of the road. These experiences have stayed with Howe, 37, who has been diagnosed with post-traumatic stress disorder. It is something he feels he has to disclose to employers, but he is worried his condition might make companies leery about hiring him. “Going into a job interview and saying, ‘I won’t kill everyone in the building,’ that’s what’s [hanging] over your head,’’ said Howe, who is getting treatment for post-traumatic stress while finishing his bachelor’s degree in criminal justice at the University of Massachusetts Boston. Beth Costa, who heads the veteran employment and training programs for the state, said publicity around post-traumatic stress disorder and traumatic brain injuries has made some employers hesitant to hire veterans. Further complicating job searches, veterans often return with higher aspirations, convinced the leadership and responsibility they assumed in the military will lead to better jobs. They are reluctant to take just anything. In anticipation of a more than 1 million service members leaving the military over the next five years, federal, state, and private business groups are rolling out a series of hiring initiatives. Yesterday, the US Senate unanimously passed legislation that would award businesses tax credits of up to $5,600 for each veteran they hire - up to $9,600 if a disabled veteran - who has been unemployed for at least six months. The legislation would also improve employment counseling and training programs for veterans and troops about to leave the military. The House is expected to pass it next week. On Monday, the Obama administration announced several new initiatives for veterans, including enhanced career services, a job bank, and an online tool to help veterans translate military skills into civilian jobs. 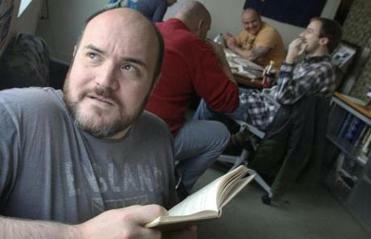 In Massachusetts, the state is holding 20 job fairs and seminars for veterans this month. Governor Deval Patrick has formed a task force on hiring veterans while working with trade associations to encourage hiring, and $700,000 in state funds will be designated to train and employ veterans. Today, Veterans Day, the US Chamber of Commerce is launching a campaign to enlist small businesses to hire veterans and is forming a Veterans Employment Advisory Council made up of the country’s largest employers. The chamber is also in the midst of a yearlong effort to hold 100 hiring events for veterans across the country. Veterans often undersell their skills, officials say, and have a hard time showing how combat experience can benefit employers. In addition, the cultural differences between a war zone and an office cubicle can be difficult to navigate. Coleman Nee, the state’s secretary of veterans’ services, recalled adjusting to work in Stop & Shop’s office in Braintree after serving with the Marines in Kuwait and Saudi Arabia in 1991. In the military, he said, it’s clear what you need to do, when you need to do it, even what to eat and wear. Back in the civilian world, the lack of regimentation can be disorienting. Many of the traits veterans hone in the military are ones employers seek: leadership, discipline, teamwork, problem solving, the ability to work under pressure. Bankers Life and Casualty Co., based in Framingham, has several veterans on its 63-person staff, including two who served in Kuwait and Afghanistan and hired in the past year. It recently started seeking veterans through recruiters and job fairs. “When these service people come out of the service, they follow orders, they do the right thing,’’ said branch sales manager Ricardo Jeremiah. But some employers don’t see it that way. But he might not be.